It is used to keep the body from turning down the kidney after a kidney transplant. It is used to treat a lung disease called lymphangioleiomyomatosis (LAM). What do I need to tell my doctor BEFORE I take Sirolimus Tablets? If you have an allergy to sirolimus or any other part of this medicine (sirolimus tablets). If you are taking any of these drugs: Clarithromycin, erythromycin, itraconazole, ketoconazole, rifabutin, rifampin, telithromycin, or voriconazole. This is not a list of all drugs or health problems that interact with this medicine (sirolimus tablets). Tell your doctor and pharmacist about all of your drugs (prescription or OTC, natural products, vitamins) and health problems. You must check to make sure that it is safe for you to take this medicine (sirolimus tablets) with all of your drugs and health problems. Do not start, stop, or change the dose of any drug without checking with your doctor. What are some things I need to know or do while I take Sirolimus Tablets? Tell all of your health care providers that you take this medicine (sirolimus tablets). This includes your doctors, nurses, pharmacists, and dentists. High blood pressure has happened with this medicine (sirolimus tablets). Have your blood pressure checked as you have been told by your doctor. This medicine may cause high cholesterol and triglyceride levels. Talk with the doctor. Talk with your doctor before getting any vaccines. Use with this medicine (sirolimus tablets) may either raise the chance of an infection or make the vaccine not work as well. This medicine may affect how wounds heal. Sometimes, people with wound healing problems have needed surgery. Call your doctor right away if you have a wound that is red, warm, painful, or swollen. Call your doctor right away if your wound opens up or if there is blood, fluid, or pus in a wound. Some people treated with this medicine (sirolimus tablets) have had very bad kidney problems caused by a certain viral infection (BK virus). In people who have had a kidney transplant, BK virus infection may cause loss of the kidney. Call your doctor right away if you have signs of kidney problems like change in the amount of urine passed, difficulty or pain when passing urine, or blood in the urine. Very bad and sometimes deadly blood problems like thrombotic thrombocytopenic purpura/hemolytic uremic syndrome (TTP/HUS) have happened with this medicine (sirolimus tablets) in some people. Call your doctor right away if you feel very tired or weak or have any bruising or bleeding; dark urine or yellow skin or eyes; pale skin; change in the amount of urine passed; change in eyesight; change in strength on 1 side is greater than the other, trouble speaking or thinking, or change in balance; or fever. Use birth control that you can trust before care begins, during care, and for 3 months after care ends. If you get pregnant while taking this medicine (sirolimus tablets) or within 3 months after your last dose, call your doctor right away. How is this medicine (Sirolimus Tablets) best taken? Use this medicine (sirolimus tablets) as ordered by your doctor. Read all information given to you. Follow all instructions closely. Keep taking this medicine (sirolimus tablets) as you have been told by your doctor or other health care provider, even if you feel well. If you are taking cyclosporine, take it at least 4 hours before taking this medicine (sirolimus tablets). Do not switch between different forms of this medicine (sirolimus tablets) without first talking with the doctor. Very bad and sometimes deadly lung problems have happened with this medicine (sirolimus tablets). Call your doctor right away if you have lung or breathing problems like trouble breathing, shortness of breath, or a cough that is new or worse. 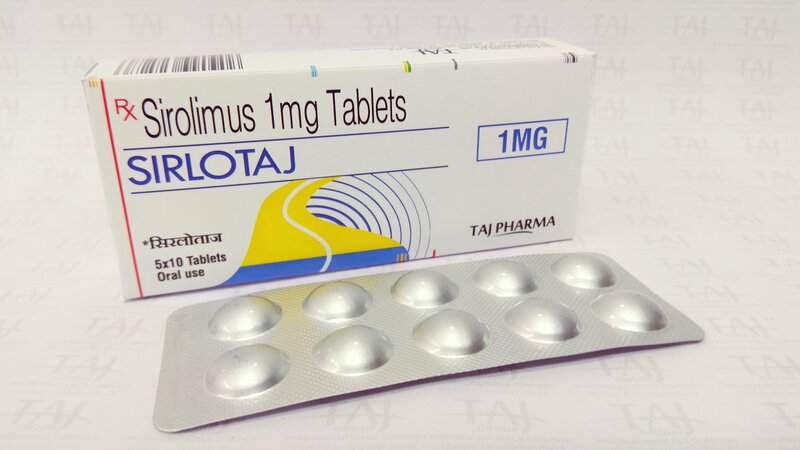 A very bad brain problem called progressive multifocal leukoencephalopathy (PML) has happened with this medicine (sirolimus tablets). It may cause disability or can be deadly. Tell your doctor right away if you have signs like confusion, memory problems, low mood (depression), change in the way you act, change in strength on 1 side is greater than the other, trouble speaking or thinking, change in balance, or change in eyesight. Very bad and sometimes deadly liver problems have happened with this medicine (sirolimus tablets). Call your doctor right away if you have signs of liver problems like dark urine, feeling tired, not hungry, upset stomach or stomach pain, light-colored stools, throwing up, or yellow skin or eyes. What are some other side effects of Sirolimus Tablets? How do I store and/or throw out Sirolimus Tablets? Do not take this medicine (sirolimus tablets) out of the blister pack until you are ready to take it. Take this medicine (sirolimus tablets) right away after opening the blister pack. Do not store the removed drug for future use. This medicine comes with an extra patient fact sheet called a Medication Guide. Read it with care. Read it again each time this medicine (sirolimus tablets) is refilled. If you have any questions about this medicine (sirolimus tablets), please talk with the doctor, pharmacist, or other health care provider.